0 Total New and Used Vehicles! Honest and no pressure sales people are exactly what you will find when you shop at Kings Ford. We ordered our vehicle exactly as we wanted and it arrived at the dealership in the time quoted. Overall a great buying experience was had from our salesman David Giese and the sales manager Travis Martin. The staff is knowledgeable and friendly. Only down side was there was no leasing option available for the kind of car I ended up purchasing. They work hard to get your business though. Very pleased with the service provided by all! Everyone was welcoming, offered things to make me feel comfortable, and provided an overall great experience as we negotiated price. Each of the staff with whom I worked was friendly, efficient, and got things done in a timely manner. I was quite pleased with the explanation of each phase of the transaction. I would recommend Kings Auto Ford to anyone. Looking for a great deal on a new or used Ford vehicle? Look no further than Kings Ford. 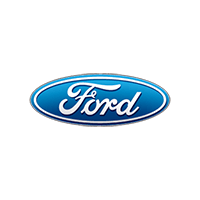 As your premier source for everything Ford in Cincinnati, OH, you can count on us for low prices, flexible financing, and friendly service. Our diverse inventory has everything from the stylish and efficient Ford Fusion to a range of powerful lifted trucks. See what a difference we can make! 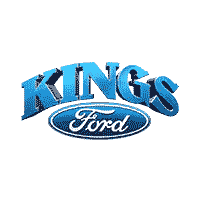 We’re dedicated to making your experience at Kings Ford the best possible, whether you’re looking to buy an affordable Ford or need repairs for the one you already own. Our expert financial team boasts an extensive knowledge of rebates and incentives to help you get the lowest price possible, and they can work with drivers of all credit backgrounds to help them get a payment plan that’s right for them. And our service department is one of the finest in the area—you can trust them to get the job done quickly and effectively. No matter what you’re looking for in a Ford dealership, you’ll find it at Kings Ford in Cincinnati, OH. If you have any questions about our inventory or the services we offer, don’t hesitate to contact us online or over the phone at (513) 683-0220. We look forward to seeing you!